Ladies, you know we all love them, appreciate them, and either are naturally gifted and/or work our butts off to get them....so shout it to the world that you APPRECIATE THICK THIGHS because after all THICKNESS IS OUR SICKNESS! 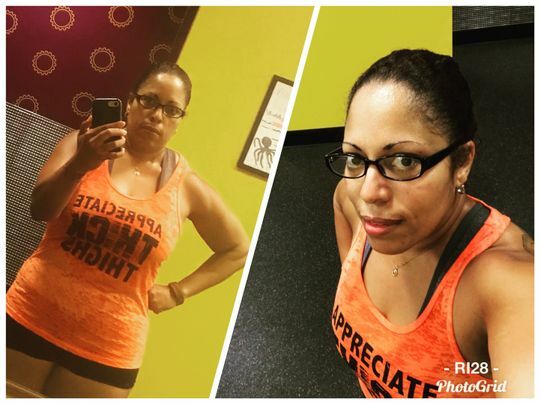 We’ve put the eye catching design on an attention grabbing orange burnout triblend racerback workout tank top so that it’s an ultra-high quality, soft, thin, and comfortable tank. We've kept the message simple and the print bold & big in distressed black print to make this shirt POP! Pick this awesomeness today and be proud of your THICKNESS! This shirt makes a statement no matter if you’re at the gym, around town, or having a rest day! David T. Reviewed by David T.
Meagan F. Reviewed by Meagan F.
Love this tank! True to size! Great fit and material. I will definitely order from Livesore again soon! Leissa P. Reviewed by Leissa P.
Accurately sized and loved the message!